I really enjoy these...I've been following them episode by episode throughout TOS, Next Generation, and Deep Space Nine. 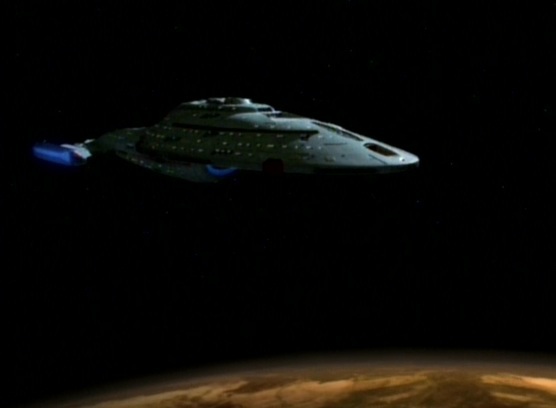 Hoping that you'll get around to finishing Voyager through to the end. As I've watched the end of season 5 and into 6 and 7 I find myself returning to these pages to compare notes with you on the remaining episodes, but so far "Think Tank" seems to be the last there is. I've gotten so used to it now that the viewing experience feels incomplete with out your Randon Musings to tie it all up at the end. Apologies - I fell out of the show, and watching and reviewing it started to become a chore. I’d say it’s possible I might come back to it at some point - but I honestly haven’t felt the inclination even after all this time. I never really connected with Voyager, even when it became good in Season 4 and the first half of 5, and I think that had a lot to do with me stopping.